As telecommunication technology advances, and despite challenges faced by the industry throughout the years, telemedicine is still believed to be the future of healthcare. Once a unique service, telemedicine is becoming an expected option, with the potential to expand access to better, more convenient, and lower cost medical services, resulting in fewer hospital readmissions. Satisfy the originating site requirement. For coverage of telemedicine visits, Medicare requires patients to receive visits at specific originating sites, including critical access hospitals, rural health clinics, hospitals, or a physician’s office. Most private insurance companies do not have a particular location requirement. Verify coverage. Because coverage is often policy dependent, it is essential to call the payer to verify the patient’s coverage before their first encounter. Documenting the call with the reference number allows you to contest future denied claims. Confirm documentation requirements. Most insurances are required by law to cover telemedicine visits at a similar rate to in-person visits. However, their documentation requirements may differ so it is essential to research the payer. Again, the best way to learn what every payer wants when billing and coding for telemedicine is to call the payer and ask the right questions. Take time to determine which telehealth services are covered by payers to avoid denials in the future. Know how to bill facility fees. 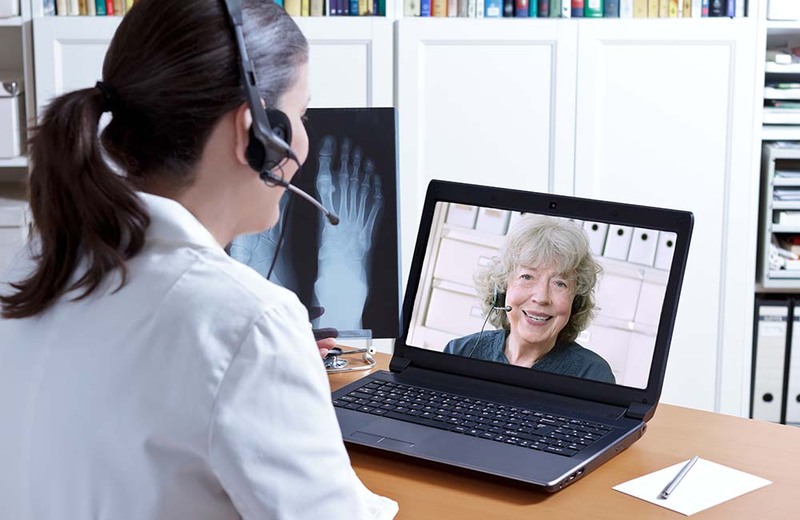 In the current Medicare telemedicine rules, a patient has to first visit an eligible originating site in order to start the telemedicine visit with a healthcare provider at another, more distant location. That originating site can then charge a facility fee to cover the costs of hosting the visit. Stay informed and understand Medicare’s regulations. Rapid changes require that you stay informed on new guidelines and laws pertaining to telemedicine services. Train your billing staff. Applicable codes and rules should be known for each payer. Code accurately. Utilizing the appropriate codes is necessary to avoid liability, audits, and denials. Medicare has a long list of codes that they will cover for telemedicine, while many private payers may require you to use the proper CPT codes and GT modifiers when billing telemedicine. Use a good software program for telemedicine billing. When using telemedicine billing software, you give your organization the ability to focus on the patients. Software makes billing easier, allowing you to receive payments quicker and spend more of your time on the patients. Consider charging a convenience fee. Another option is to make telemedicine services self-pay by charging a fee from $30-$75 per visit. A decrease in no-show rates and last-minute cancellations. Research from the Medical Group Management Association shows that 24% of patients who missed an appointment cite work or transportation as the barrier. These issues can be avoided with video visits. Reimbursement for phone calls. Patient questions, medication refill requests, and urgent after-hours calls can add up to much uncompensated time. Replacing some of these phone calls with telehealth visits allows you to document and bill for that time. Around-the-clock availability, or at least availability at the time when most other clinics are closed. Since a telemedicine visit can be done from anywhere, some providers have started to offer evening or weekend hours. New patients. When you offer the availability of telemedicine, your practice will attract patients for which this service is important. Telemedicine also helps grow your organization by removing geographic barriers for patient care, giving you a broader market for patients. Patient retention. Patients are interested in easier access to healthcare, and increasingly, they are willing to switch to providers that have telemedicine services available. Patient satisfaction and increased patient engagement. Telemedicine engages patients by allowing them to connect with their doctor more often. This connection means more questions asked and answered, a stronger doctor-patient relationship, and patients who feel vested in their care. Provider satisfaction. Telemedicine services not only help with patient satisfaction, but with provider satisfaction as well. Providers can use telemedicine to make it easier to juggle their family and work life. As the future brings more technological advances and increased demand for flexibility and convenience, the benefits of telemedicine will continue to rise and remain an essential part of healthcare. With patients embracing the practice of telemedicine, the only thing holding your organization back is a lack of knowledge and understanding of this technology’s full capabilities. Contact us today for more information on how Coker Group can help implement or expand your organization’s telemedicine services. Wood, Megan. “Telemedicine Market to Grow at 18% CAGR through 2020: 4 Insights,” October 13, 2017, Becker’s Spine Review. Accessed April 3, 2019. https://www.beckersspine.com/orthopedic-spine-practices-improving-profits/item/38525-telemedicine-market-to-grow-at-18-cagr-through-2020-4-insights.html.